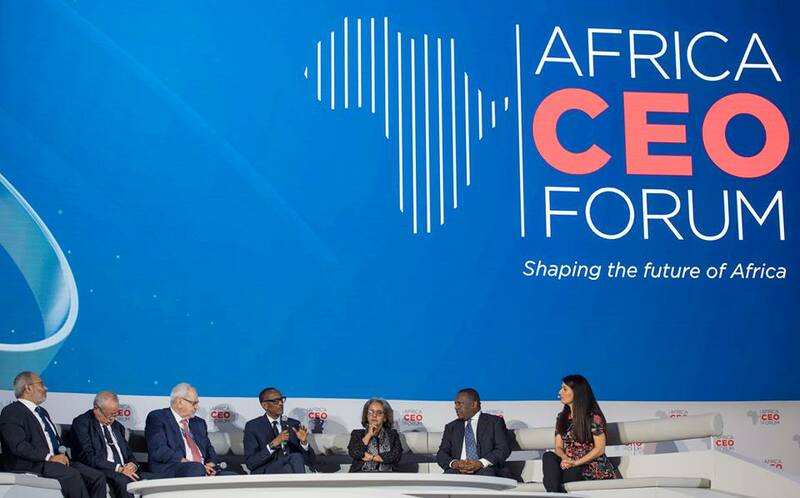 The seventh annual Africa CEO Forum 2019 opened in Kigali on Monday with a call by Rwandan President Paul Kagame for the continent's immense, unlimited opportunity and capacity, knowledge and expertise to be utilized optimally. The two-day forum brings together African heads of state, CEOs, investors, top executives, experts and other officials from various industries to deliberate on Africa’s business prospects. 2019 marks the seventh edition of this continental forum, and will focus on the Continental Free Trade Area, which is hoped will integrate Africa into a single market. Speaking at the opening session, President Kagame said: "This summit does us proud as Africa. There is a lot of knowledge, expertise, political will in this room. If we work hard at it, all together, Africa will be where we need to be," the Rwandan leader told delegates. Speaking in the same vein, the president of the Africa CEO Forum, Amir Ben Yahmed, stressed the need to ensure that the Continental Free Trade Area (CFTA) of the African Union becomes a reality. The objective of the CFTA is primarily to engender more intra-African trade, which currently comprises just 15 percent of the continent’s total merchandise trade, reports said. When the CFTA vision becomes a reality after being ratified by at least 30 countries, intra-African trade could increase by at least 50 percent over the next five years, according to official estimates.